Salisbury may be Wiltshire’s only city, but it doesn’t feel like a city, more like a market town with a Cathedral. It likes to be known as the ‘City in the Countryside’ which is a fair description, and probably why I like this place so much. What I really like about Salisbury though is that it doesn’t just rely on its medieval character, history, and fabulous Cathedral for visitors to enjoy. It also has a feel good factor about it. When you’ve had enough of taking in the Cathedral, its elegant Close and Water Meadows, there are plenty of good quality shops, pubs and restaurants to make you want to stay longer. 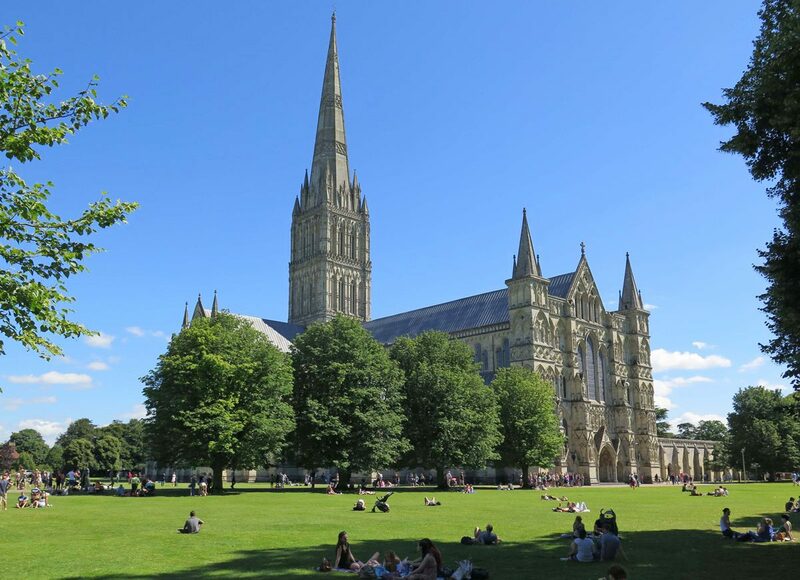 Although you can see Salisbury on a day trip from London, you’ll be kicking yourself that you didn’t have time to visit Old Sarum and Stonehenge as well, so it’s best, if possible, to book an overnight stop and enjoy this wonderful small city and its surroundings in the manner it deserves.